Miami is fortunate to be surrounded by beautiful and fascinating natural environments. 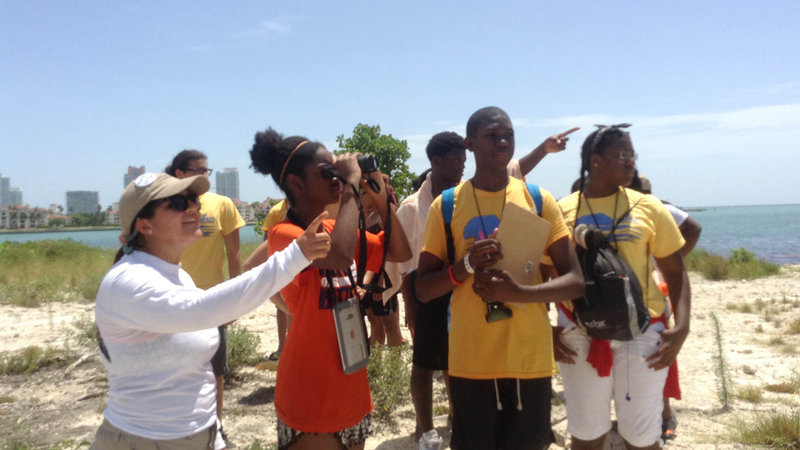 Biscayne Bay, the Atlantic Ocean and mangrove habitats all help define what makes our community great. But these environments are also at risk. 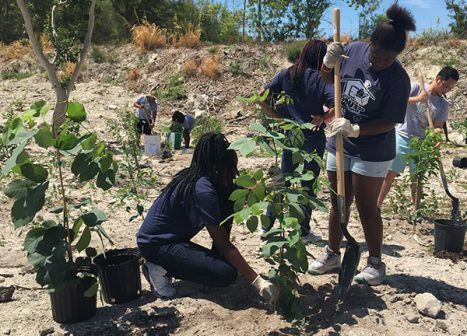 This scenario, where the human-made world meets the natural world, makes for a powerful learning tool for Miami-Dade County youth. MUVE supports an array of education projects that take students outside, lets them experience nature and make a difference. 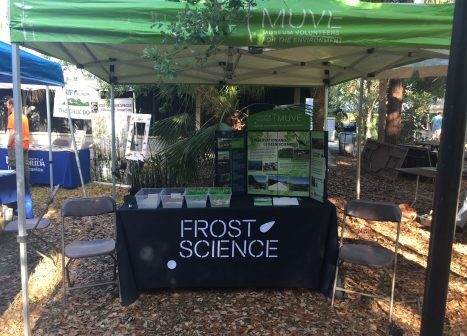 These programs not only enliven crucial science learning and awareness, they also benefit Miami’s environmental health. MUVE is committed to teaching and empowering the youth of Miami-Dade County to engage in their communities and be proactive about their futures.